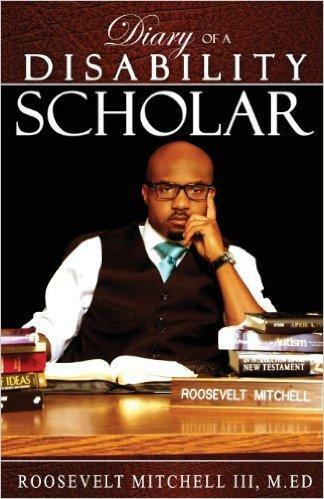 Roosevelt Mitchell III is the author of several books including "Diary of a Disability Scholar." “I want to make disability normal because we live in a society where there’s an unwritten definition of ‘normal’ or what ‘normal’ looks like,” Mitchell told St. Louis on the Air host Don Marsh. “No one can tell you what normal is but if you see someone who has one leg or one arm, it automatically gives this sense of abnormal,” he said. In wanting to gain more acceptance for people with disabilities, Mitchell points to the general absence of such people on billboards and on television shows. Mitchell, who was born with five fingers on his left hand but only two on his right hand, wrote about his own experiences in the book, “Diary of a Disability Scholar.” He has also written a series of children’s books about a boy named Kayden, who has a disability. “Kids are cruel. Other kids have no filter. They will talk about you or make you feel less than, just to have fun because they don’t know exactly the harm or the damage they are causing kids with disabilities,” Mitchell said. Mitchell’s interest in writing a children’s book stems from his thoughts on the cruelty of kids but also from the comments of educators. “I spoke to a group of principals and superintendents and they were complaining about the lack of materials to talk about disabilities,” Mitchell said, as there’s a particular interest among some teachers to cover disability issues during October, which is National Disability Employment Awareness Month. A discussion with Roosevelt Mitchell III, who aims to "make disability cool." Election officials in St. Louis and St. Louis County are reassuring the public that accommodations are in place so people with disabilities can easily vote in Tuesday's presidential primary.